A unique knee block is hidden in the monoflap design. 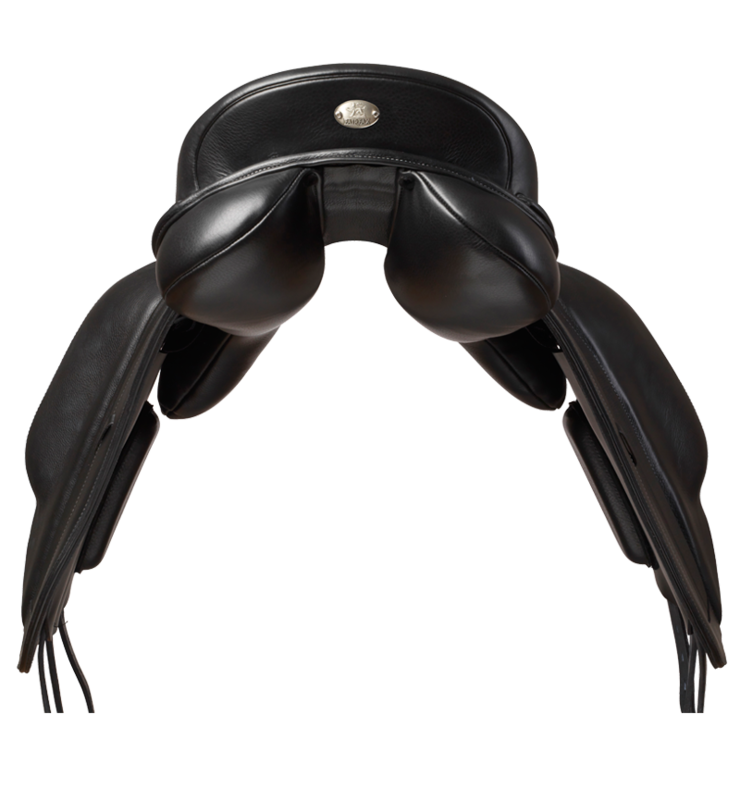 The position can be adjusted to give the rider incredible flexibility of support. (See Concealed Block below). The 17½" and 18" saddles come with a choice of two block sizes. 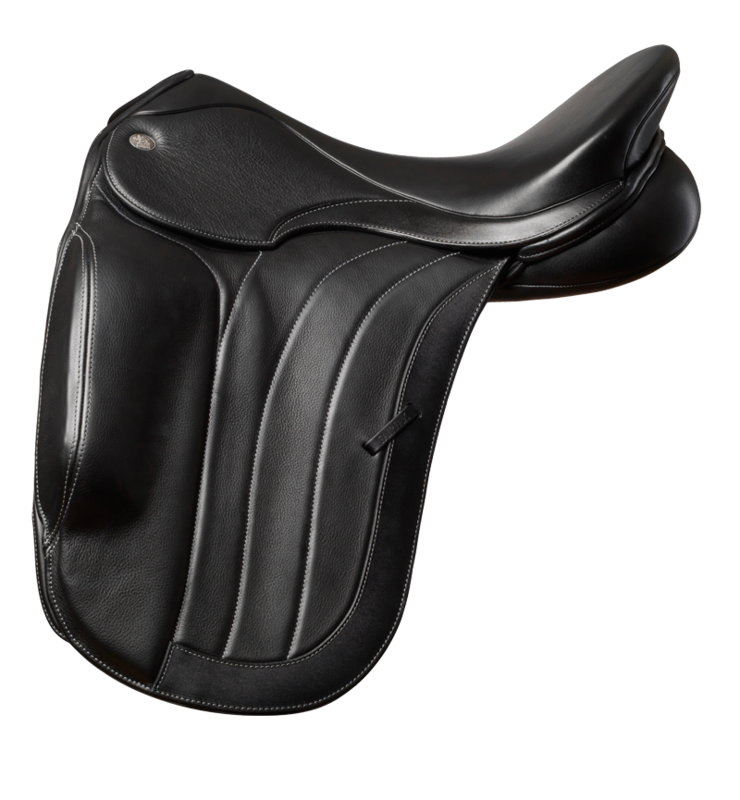 This choice, combined with the adjustable position, gives the rider even more flexible support options. (See Concealed Block below). 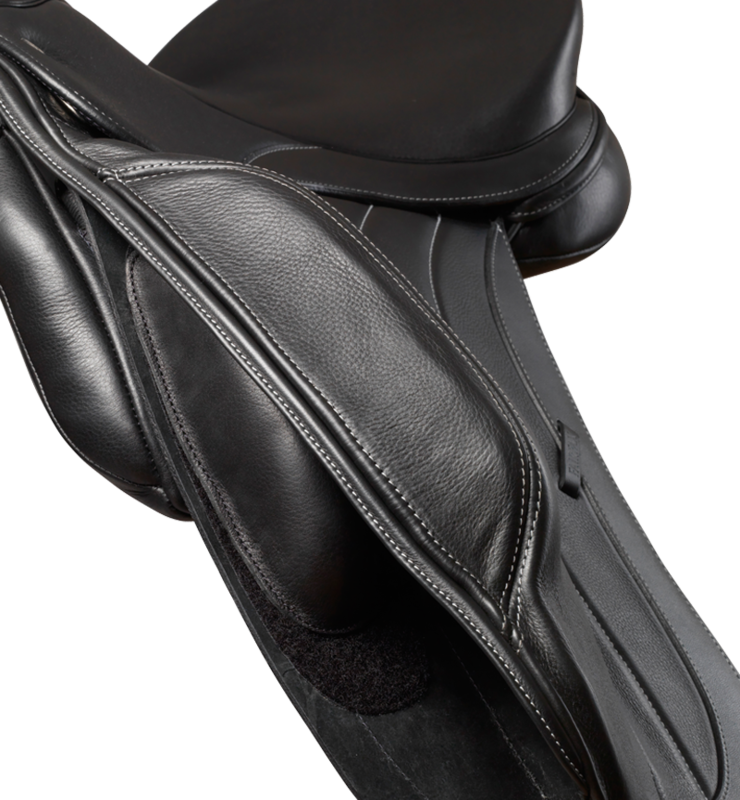 This unique monoflap comes with a knee roll that can positioned according to the rider’s preference - adjust it up, down, away from the leg or towards the leg to provide tailor-made support. When the block is in place, it is concealed under the flap. 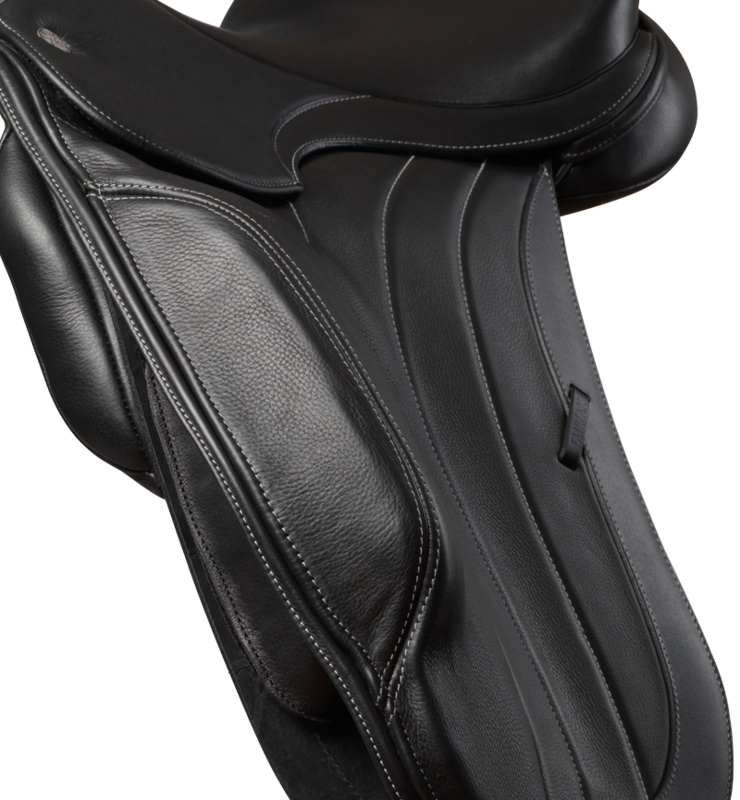 The 17 1/2” and 18” saddles come with a choice of sizes (short and long). 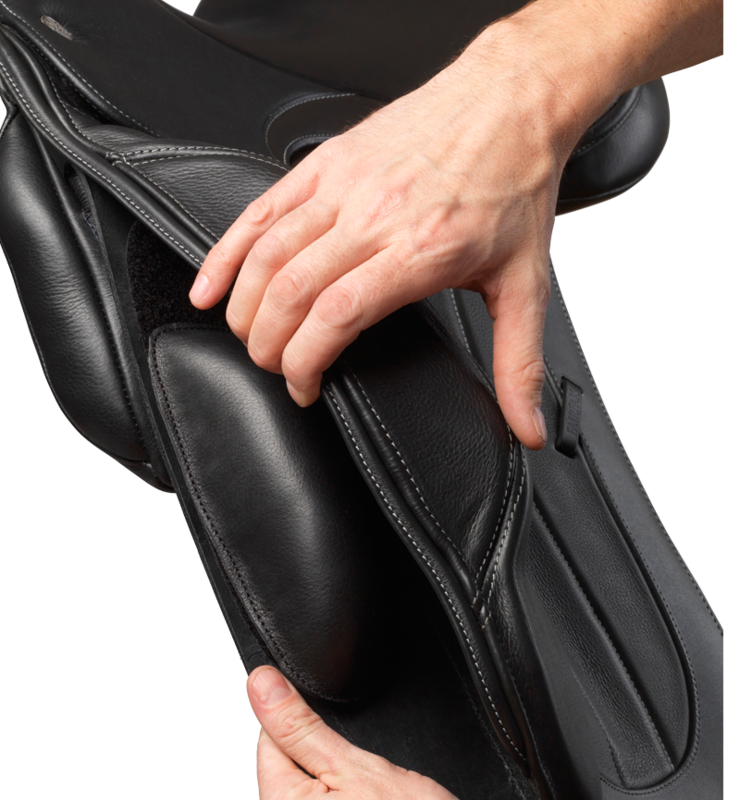 This gives even more support options and greater flexibility for the rider’s leg.